For traction, specializing in Nepheline Syenite, a non-hazardous, non-silica sand also Alpha Alumina, fused aluminum oxide. Third rail of steel, or stainless clad aluminum. 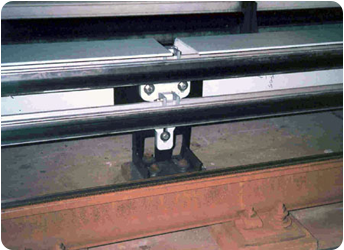 Insulators, pultruded cover boards, cast iron inclines, aluminum joint bars for third rail. 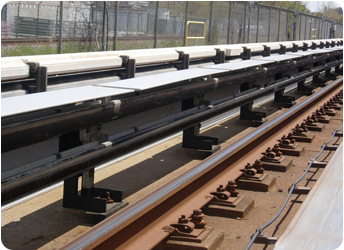 Pultruded Coverboards and insulators on the TTC SRT Line Toronto 2006.